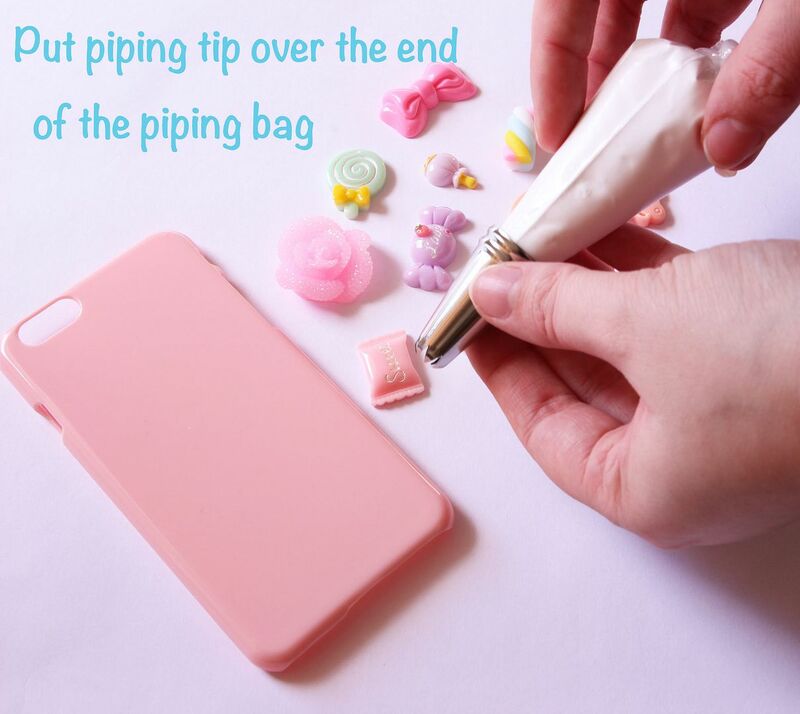 Start by cutting the end of the cream clay bag and put the piping tip over the end of the bag, or alternatively put piping tip into the end of a fresh icing bag and decant cream clay into the new icing bag so that you don’t have to hold the piping tip while you are piping. Ultimately it is just a matter of preference! 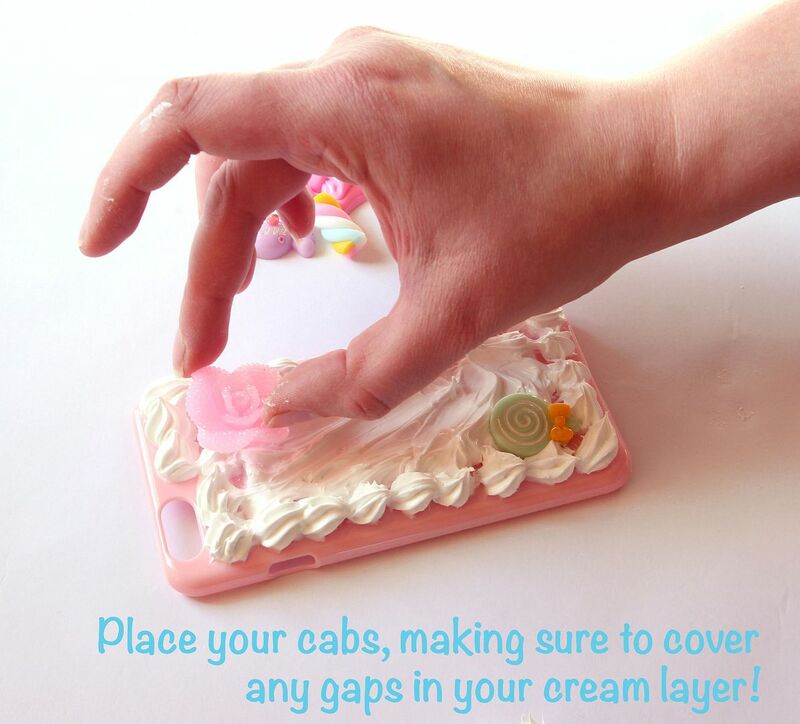 If you are new to the practice of decoden, try practicing for a bit on a piece paper. 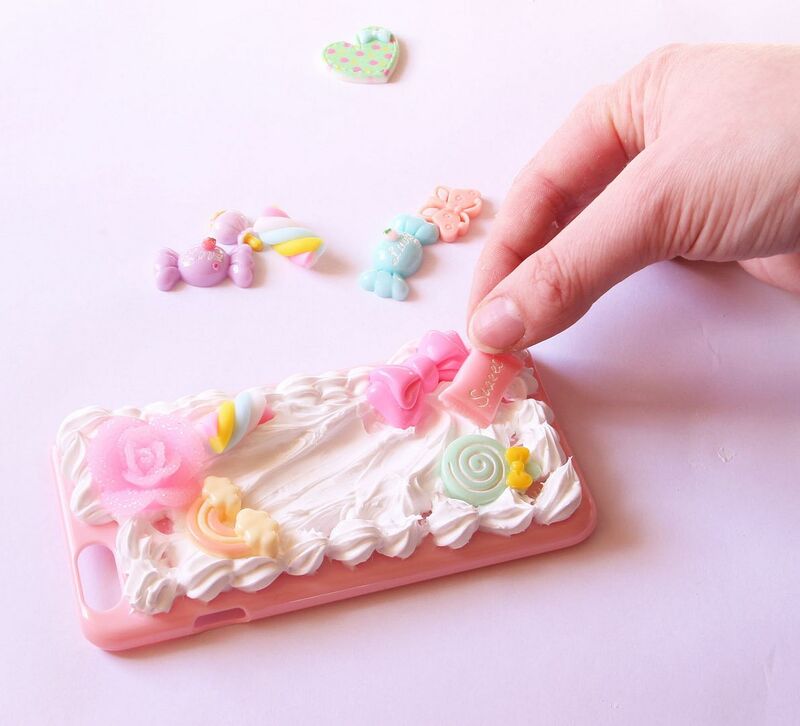 Once you feel like you've gotten the hang of it, you can clean and dry your phone case and begin piping directly onto it. Pipe around the edges first so that you can smear clay over the middle. This part is very up to the designer so feel free to use your own creativity. 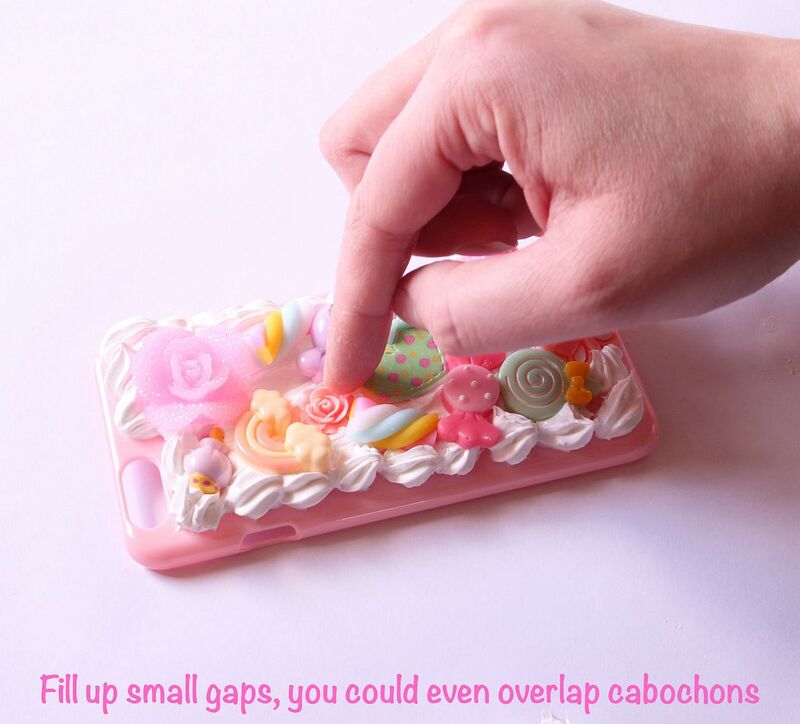 You're now ready for the best part: placing the fun cabochons into the clay. Simply apply and press firmly, making sure that you're not covering the mobile phone's camera. If you'd like, you can overlap cabochons or add "sprinkles" to create a really dense, jumbled look. 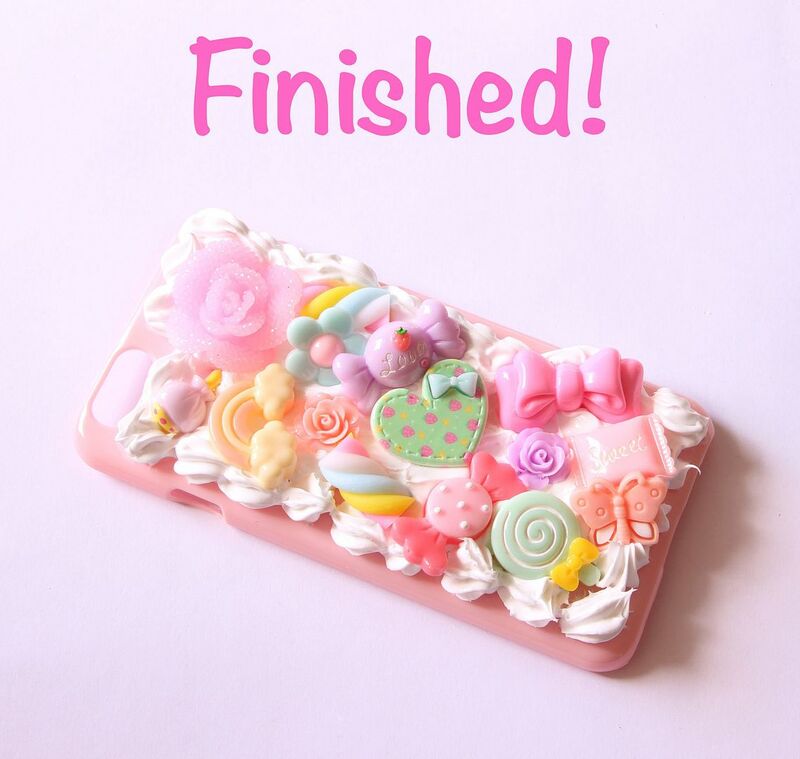 When you're happy with your finished work, leave your case to set for 12 to 24 hours. Great job! You've made your very own deco mobile phone cover. It'll have your friends talking and wanting to make their very own deco crafts as soon as possible.